Guillaume Apollinaire. Cartas a Lou. Barcelona: Acantilado, 2008, 456 pages. Translated by Marta Pino Moreno. ISBN: 978-84-96834-63-7. 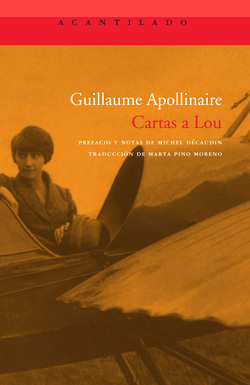 Spanish translation of the original title: Guillaume Apollinaire, Lettres à Lou. Paris: Gallimard, 1969. Published in Spanish by El Acantilado.